We are down to only 25 days before our Jamboree plans get put into action! As our troop makes final preparations to pull together the remaining gear needed for this awesome adventure, we have benefited by generous discounts from local businesses and equipment manufacturers in our area. This has been greatly appreciated, especially for me, since there are three of us going from my household! …which got me thinking… how could these kinds of offers be extended to Scouters long after Jamboree is over?? What if manufactures offered deep discounts and exclusive deals to active Scouters, if and ONLY if, they were able to show participation in a Wood Badge course?! In this scenario, outdoor gear and equipment would more easily get into the hands of real product promoters. On the flip-side, these offers could help create more tangible incentives for Scouters to go and get trained. …a win/win for both parties, yes?? I have a specific company in mind that made me think of the idea, but for purposes of this blog, let’s stay with a generic company. I’ll call it, Your Favorite Gear Company, or “YFGC” for short. Scouters would need to request a VIP account by entering relevant member info *including* their Wood Badge course number and Course Director’s name (and possibly even be required to upload a scanned copy of their Participant or Staff completion certificate). A “sponsorship coordinator” on the YFGC side would then need to approve the VIP status through some simple validation process. After a VIP account request is approved, Scouters could then shop YFGC’s online store with VIP status… meaning all prices are marked down according to the applied discount, added to a shopping cart and sent via normal YFGC shipping processes. Mind you, the VIP website doesn’t have to be linked to from anywhere on the regular YFGC website. Instead, it could be treated as an exclusive, non-publically-advertised promotion only announced through a Wood Badge course. No doubt, word would get out, and that’s fine. Navigating to vip.YourFavoriteGearCompany.com by word-of-mouth or from search engine results would only further promote this type of exclusive deal or deep discounts to those who complete Wood Badge! I’ve had sponsorship accounts with companies in the sports industry before and this is generally how it works. However, I never thought about something like this for Scouting. Do you think outdoor gear companies would see the value in supporting Scouters who make a commitment to being trained? Do you think there are enough Wood Badge participants out there who could benefit from this type of “sponsorship”? Let’s hear what you think about this idea! 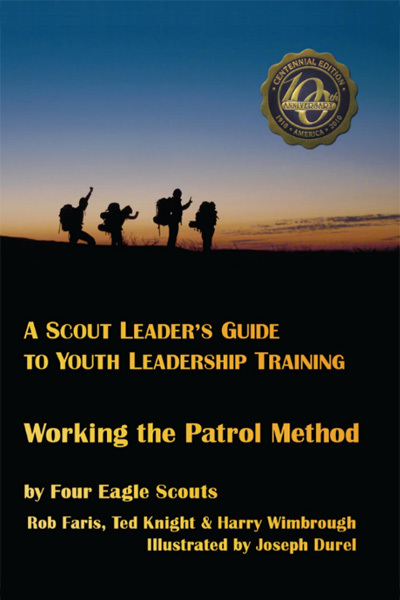 This entry was posted in Discounts for Scouters and tagged adult training, deep discounts, equipment, exclusive deals, gear, national jamboree, participant, scout discount, staff, training incentive, vip, wood badge. Bookmark the permalink. Sure it would work. What about a credit card that offers rewards to scouting while shopping at outdoors stores. percentage cash back look at ptk credit card. order the arrow also could use a credit card and wood badge. anybody who completes these levels of the program should be legible for those perks as well.